Who do you think will be least affected by your plan? People who don’t use the MTA and don’t commute. Well the bus will take people all around the city, but when it’s being used by people in the fashion industry, it will probably be in the garment district. My inspiration came from my own struggles with the MTA and from my love for fashion. What kind of tools will you use to make the project? I will probable make it using thin wood pieces or cardboard. How will you test it? Or does it have to be tested? I’ll probably show the prototype to commuters and see what their opinions are on it. To create a cheaper form of transportation based of peoples incomes so people can actually afford to commute. 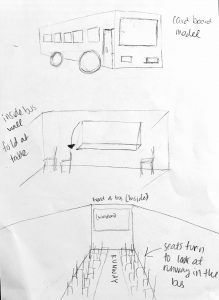 Also, it will be related to my major, fashion design, by using the bus as something for designers to rent and use it as a space to do work or to transport things. Commuters, the working class, students, tourists, people who need to rent buses for events or for spaces. What methods will you use to get your data? Surveys, online or at stations (Penn Station, subway stations, bus stops), online research like stats or blogs by people who’ve expressed concerns with transport fare. What form will you present your final project in? It will most probably be a final model paired with a presentation that explains my business plan (how its funded, stats, how it connects to fashion, etc.) and a small model of the bus. How will you execute your prototype? 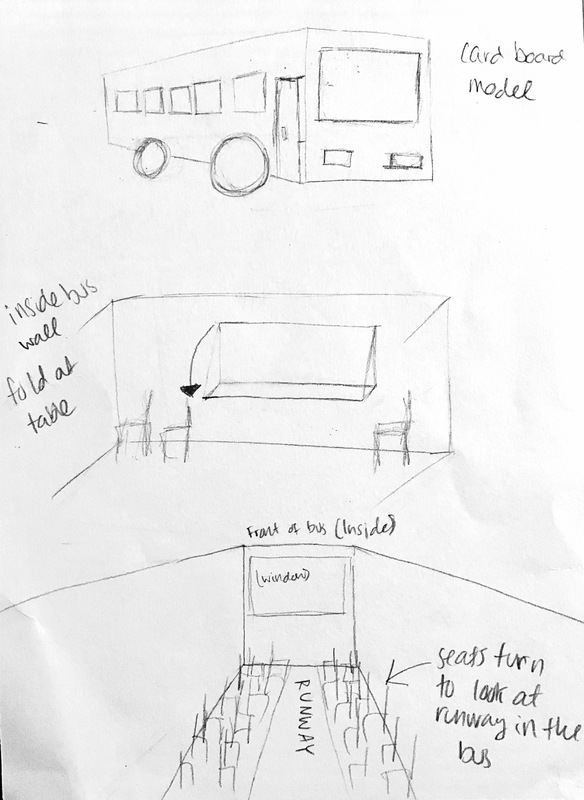 I’m going to try to show my prototype, a little diorama of a bus, to people and get feedback and reactions on what could be improved and whether or not they would use the bus.